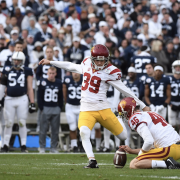 Matt Boermeester issuing the University for the second time since March 2018. 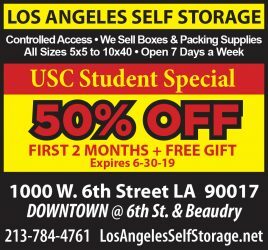 The funds will go toward mental health programs for USC’s many student-athletes. 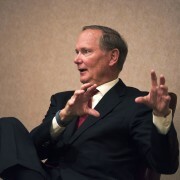 Pat Haden will retire from his position as athletic director at USC effective at the end of June. The Habit food truck, brought to campus by USC Hospitality and USC Athletics, offered students free burgers, fries and drinks in McCarthy Quad to promote the women’s lacrosse team’s first game. 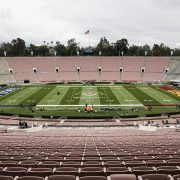 The inaugural game takes place this Saturday against Northwestern University at the L.A. Memorial Coliseum. USC breaks in two new goalies to replace the former three-time All-American and Olympian. 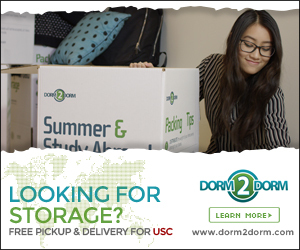 Though USC has more than 750 student organizations, getting involved is as simple as following your interests.